I recently celebrated my tenth anniversary of road cycling, so I thought I’d share the most important things I’ve learned about road cycling. Taking up road cycling was the second best decision I ever made. The first was when I chose my life partner, the gorgeous Phillip. The past ten years have been my fittest ever. Before I took up riding I tried various forms of exercise like gym membership, aerobics classes, jogging and power walking but it wasn’t until I started riding a road bike regularly that I could truly claim to be fit for an entire 10 years. My fitness levels have gone up and down over those ten years but overall I’ve had my fittest years yet. In ten years I’ve met hundreds of cyclists, many of whom are now my close friends. These hundreds of people live in my local area but I’ve also found new friends around Australia and overseas. Cycling is a great leveller, it enables people of different backgrounds to come together focused on the common love of riding. I’ve read many articles that espouse the benefits of social connections for both physical and mental health and cycling delivers social connections in spades. I grew up without any confidence in my physical ability so taking up cycling 10 years ago has given me something I lacked for many years. That confidence has had some wonderful knock-on benefits and made me a more confident person in all aspects of my life. It’s made me realise that I am capable of much more than I ever imagined. There’s lots of great research and studies that detail the many health benefits of cycling including mental health. I always come home from a bike ride in a good mood and I never regret going out for a ride. This can be partly attributed to the good endorphins that are released when you exercise but I think it goes beyond that because road cycling is just so much fun as well. 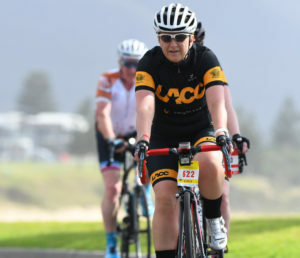 Like mental health, the physical benefits of road cycling are numerous. I have regular health checkups and my GP always congratulates me on my physical health. I’ve written about it many times but in short it’s great for my fitness, heart health, brain health and much more. I started out ten years ago on a basic aluminium-framed road bike which I really loved at the time. I’ve since upgraded twice and now ride a beautiful bike that is just amazing to ride. I probably wouldn’t be riding a top-of-the-line bike if I didn’t spend five years working in a bike shop but I’m lucky enough to have received great discounts while I was there. And I can honestly say that my road bike is a dream machine. Buying fewer high quality items is worth all the money. I started out with cheap gear – helmet, shoes, clothes, gloves, sunglasses, etc. Unsurprisingly all that original gear has now been replaced with quality equipment that has lasted many years. It looks and feels good and makes me want to get out and ride my bike more often. When I started riding a road bike I thought I knew how to ride. After all, I could stay upright and convey the slick machine down the road. I was so wrong. There are so many skills that road cyclists need to learn like cornering, pedalling technique, climbing, descending and more. And unfortunately it takes time and practice. I live in the city of Sydney and there’s a lot of aggressive drivers around who appear to be mortally offended at the mere sight of a group of cyclists. But there are also lots of considerate, thoughtful drivers on the road who will give you their right of way, wait patiently until it’s safe to pass and generally look after others. So don’t be put off by that vocal minority. For me the most important lesson is that I should never underestimate myself. I can do far more on the bike that I ever thought possible. I can ride up big hills, I can ride long distances, I can descend with confidence and I can always improve. So that’s the most important things I’ve learned about road cycling. Share yours via comments or the Women Who Cycle Facebook page.